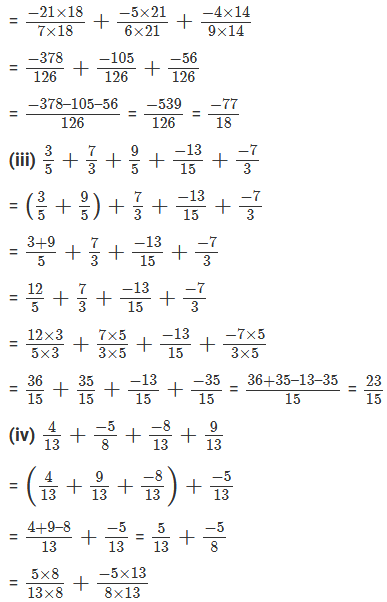 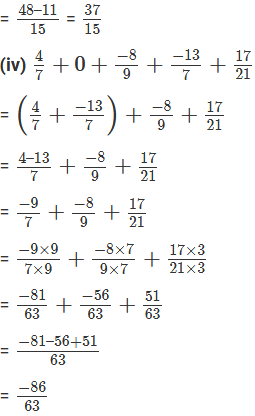 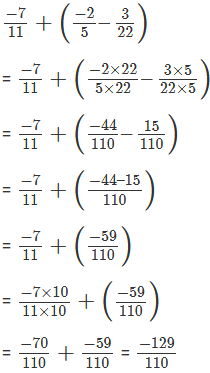 Verify commutativity of addition of rational numbers for each of the following pairs of rational numbers. 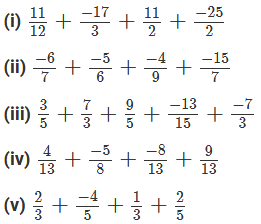 Commutativity of the addition of rational numbers means that if ab and cd are two rational numbers, then ab + cd = cd + ab. 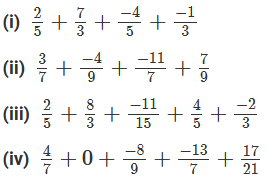 (i) Additive inverse is the negative of the given number. 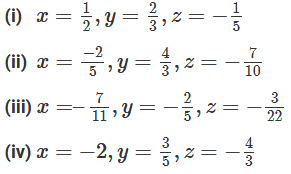 (ii) Additive inverse is the negative of the given number. 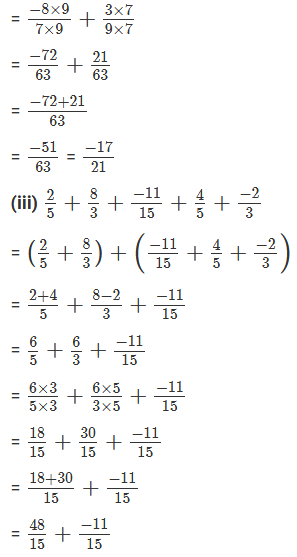 (iii) Additive inverse is the negative of the given number. 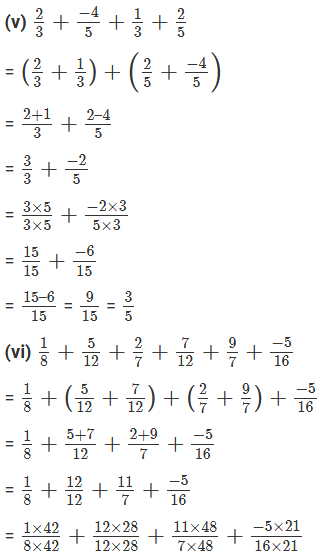 (iv) Additive inverse is the negative of the given number.